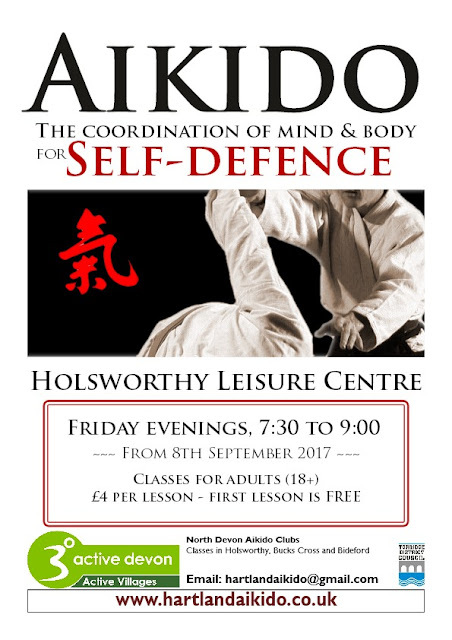 The last Holsworthy class this of 2017 will be on Friday 15th of December. We start again in 2018 on Friday 5th of January. 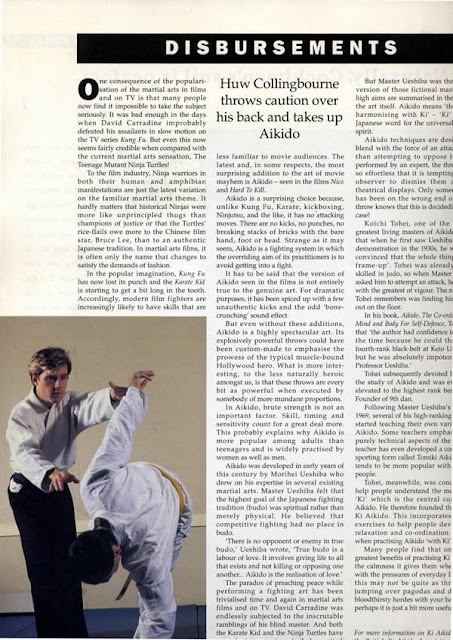 Aikido in the Hartland Post! Note, since I wrote the article we have opened a new club in Holsworthy but we now only practise once a week in Bucks Cross (on Thursdays). The Science of Aikido Bamboo Cutting! "Get on the train! Be on the train!" - I'm always saying this. But what does it really mean? To me, being on the train means that you are sensitive to the energy of the other person - be it nage or uke. You "go with the flow" rather than try oppose the other person's power. This is not only safer (you won’t be taken unexpectedly if someone suddenly tries to do a technique) but it is also more effective. Well, pardon me for taking issue with that. But I am not of the opinion that it is the uke’s job to make a technique work! “Not to receive anything means unlimited strength. If you try to stop with your strength a train which is coming toward you, you will be flung aside though you may have very great strength. It is better for you to ride on the train, and when it stops you take one step forward and get off. And that, in my view, pretty much sums up the essence of the art of Aikido. I just came across this old article which I wrote for a lawyers' magazine called "Legal Business" way back in 1991. That's me (oh, so young!) chucking about one of my students at a club I used to run in Queen's Crescent (midway between Kentish Town and Belsize Park ) in North London. I was a 1st dan at the time - I took my first dan in 1989 and my second dan in 1992. Happy days! Another film that features aikido (or possibly aiki-jujitsu, the precursor to aikido?) is this Japanese film... apparently about a boxer who has to relearn self-defence after being confined to a wheelchair. Following on from my recent post about Aikido in the films of Steven Seagal, here are a couple scenes of aikido (or, anyway, an approximate representation of aikido) from two recent TV dramas... first, Amazon's alternative history science fiction blockbuster, The Man In The High Castle. Man in the High Castle from michael hilow on Vimeo. And then, aiki-jo as a defence against zombies from The Walking Dead. Our new Aikido class starts on Tuesday June 6th in the Holsworthy Leisure Centre. This is the poster. If you'd like to display it on your blog or web site or print it to display on a notice board, we would be very grateful for your help in publicising this class. 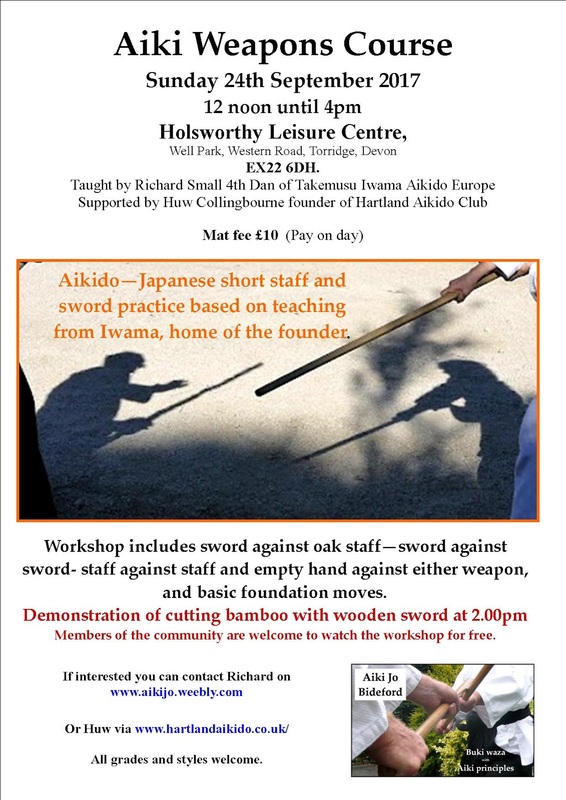 Remember that Monday and Thursday classes continue as normal in Bucks Cross and aiki-weapons classes are also taught every Wednesday in Bideford. From June you'll be able to practise Aikido with us in Holsworthy, North Devon. Classes will be on Tuesday nights. Classes continue as usual on Mondays and Thursdays at Bucks Cross. And our good friends at Bideford aiki-jo also have aikido weapons classes every Wednesday. Which means that if you are really keen you will be able to do aikido with us four times a week! 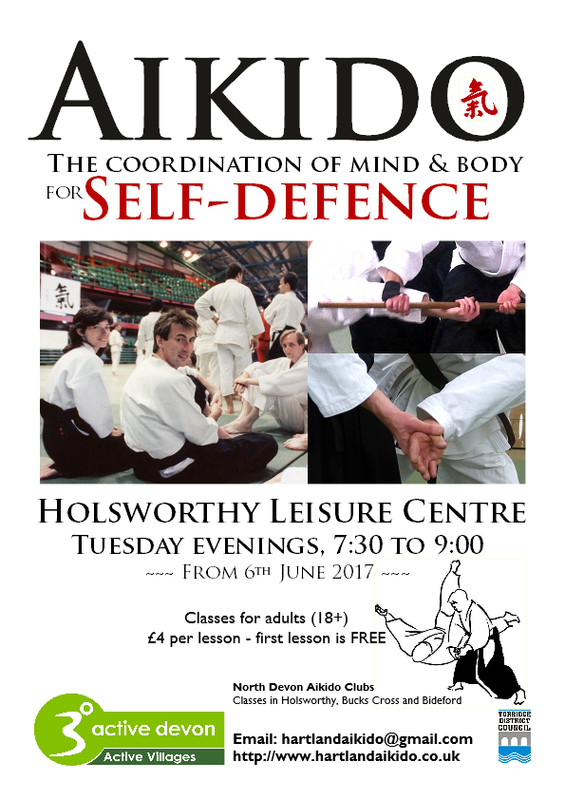 More details of the new Holsworthy class soon..
Monday 1st May - Aikido class is ON. Monday 8th May - NO Aikido tonight. Tuesday 9th May - Aikido class is ON (instead of the usual Monday). All other dates are as normal, Mondays and Thursdays throughout May. 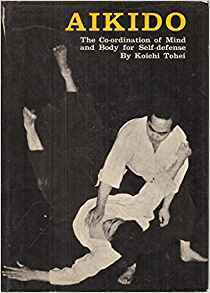 If you understand Aikido and you watch closely, you will discover some gems in this old video. There is no commentary but there is much to be learnt if you watch attentively.